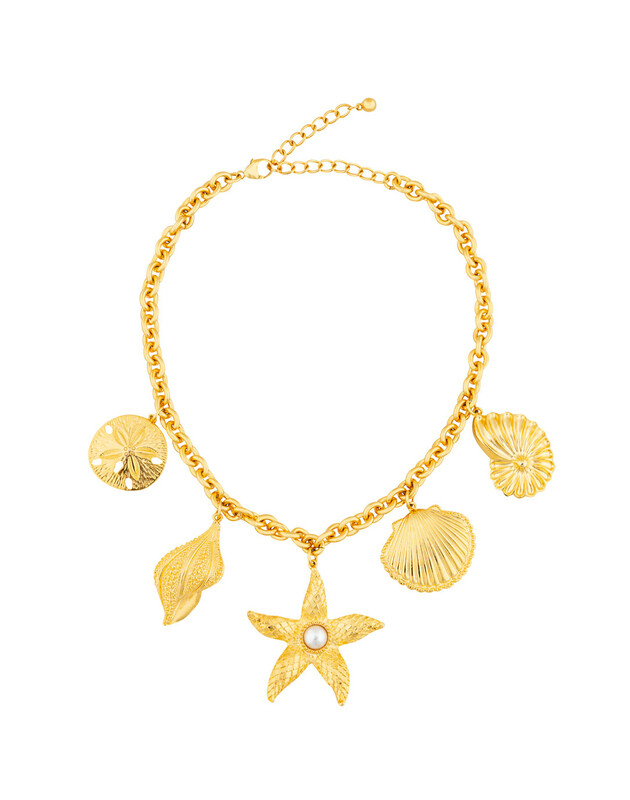 This statement shell and starfish necklace encapsulates Kenneth Jay Lane's luxe aesthetic. 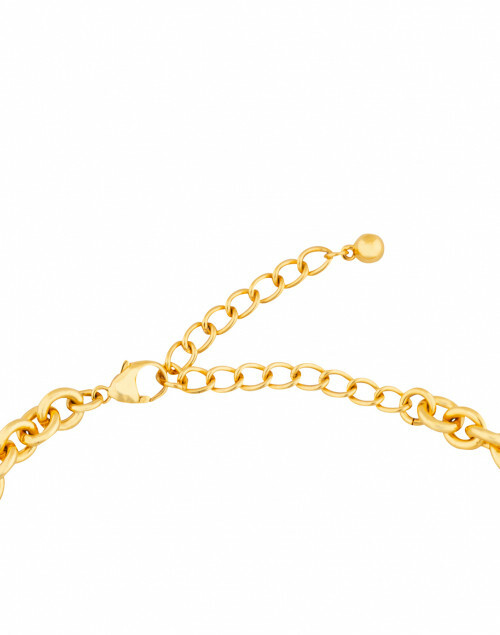 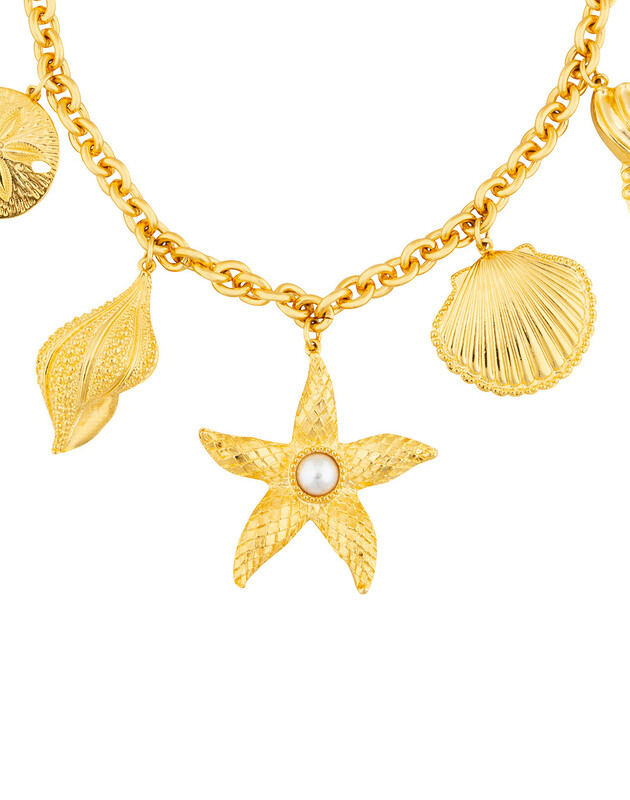 It is crafted from 22 karat gold plated brass, and features four textured seashells and a starfish with a pearl center. 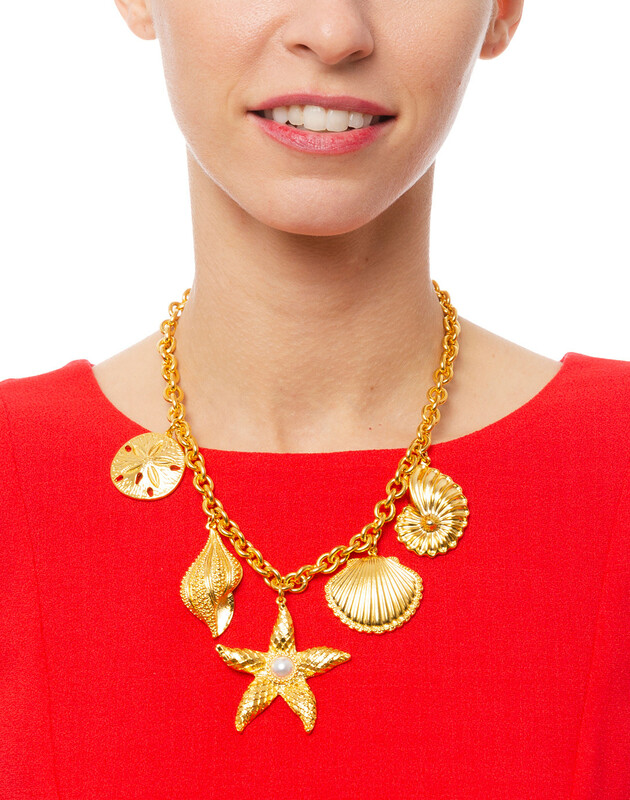 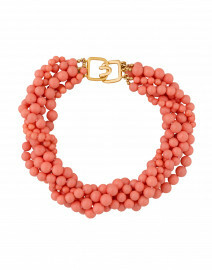 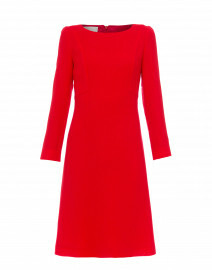 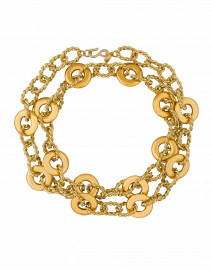 Pair it with a red dress for a bold special occasion ensemble.